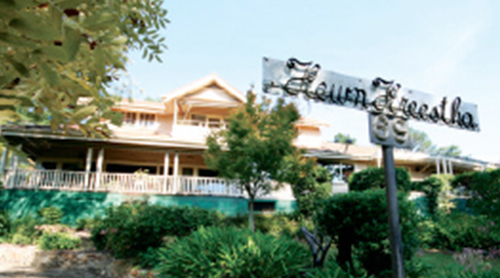 Foundress of the Family Care Sisters (Grey Sisters) was born in Beaufort, Victoria on the 30th June 1884. She was determined, justice-orientated, pioneering and a feminist, unafraid to challenge the status quo. Appalled by the working conditions of women she took a job in a factory and became a union official so that she could help improve the conditions. She was an ardent advocate for equal pay for equal work. She became the Church’s representative on many deputations in relation to industrial and social reform. To provide a personal service to mothers in their own homes. 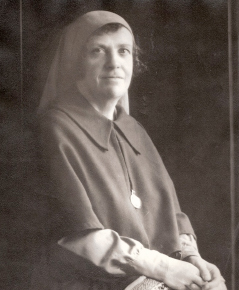 When she asked Dr William Collins, at St Francis church, Melbourne, why this wasn’t happening; he said: “are you prepared to roll up your sleeves and help the mothers in their homes?’ “Yes”, she replied, “and I will get others to do it also.” This was 1928. 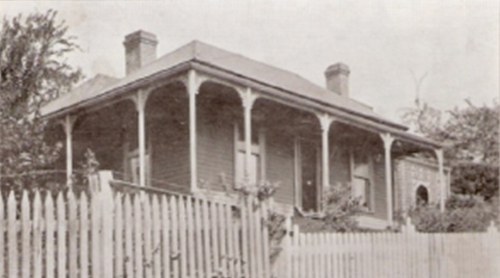 In 1930, the FAMILY CARE SISTERS (Grey Sisters) were founded. In 2008, after prayer and discernment, Sr Jill Harding and Sr Michele Toussaint on behalf of the Family Care Sisters, approached Sr Kathleen Tierney rsm (Former Melbourne Congregation Leader) to ask if it would be possible for the two congregations to journey together. The response was a resounding YES. The Foundresses of the two congregations, namely Maude O’Connell and Catherine McAuley, were both ‘doers’. As children, each suffered significant deaths. Neither set out to be a Religious, but rather to be a woman of change, devoted to causes and to the poor. Although a world apart, there is less than 100 years between the foundations – Daylesford (July 12th, 1930) and Dublin (December 12, 1931); and both women were into their mature years – Maude was 46 and Catherine was 52. 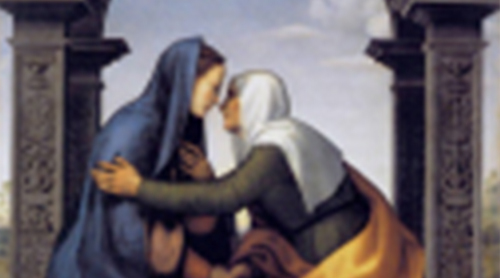 Respecting and preserving each other’s traditions and identities, the two congregations continue to share the onward journey – in the spirit of Ruth & Naomi and Mary & Elizabeth. We ask God’s blessings on our Congregations, as together we proclaim and engage in the prophetic mission of Jesus. Jill Harding is involved in the administration of Kewn Kreestha”, the Wholistic Centre in Croydon. Together with Michele and the staff, programs offered are reviewed and new programs developed. Michele Toussaint, is a spiritual director, working at “Kewn Kreestha” and also offering spiritual direction and retreats. The vision of Maude O’Connell continues to inspire us and challenges us to respond in new and creative ways.